British Defense Minister Resigns Over Gaza Ceasefire...Netanyahu's Leadership in Jeopardy? As Katie reported, Hamas militants sent over 300 rockets into Israeli communities this week, killing eight people. The attack was reportedly in response to an Israeli intelligence-gathering mission that left seven Palestinian militants and one Israeli military officer dead on Sunday. Egypt had begun to work on a ceasefire between the two sides and reached one on Tuesday. Not every Israeli official agreed with the decision. Defense Minister Avigdor Lieberman even resigned over the ceasefire, which he likened to "surrendering to terror." His party, Yisrael Beiteinu, is now expected to leave the ruling coalition, which could mean bad news for Prime Minister Benjamin Netanyahu, who now controls just 61 of 120 parliamentary seats. Israeli elections must be held by November 2019, but Lieberman called for them to occur early. Netanyahu's office insists now, in this "sensitive security period," is not the time to hold an election. 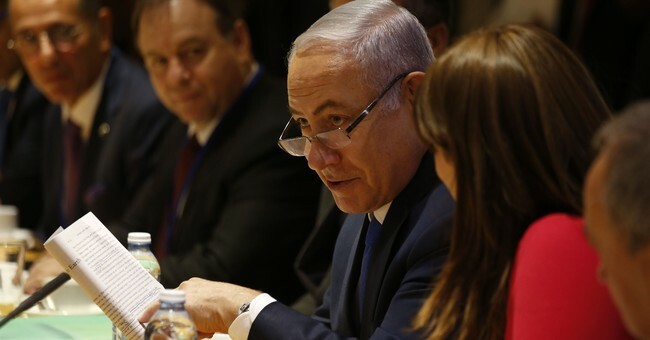 "A leader does the right thing, even if it is difficult," Netanyahu said in defense of the ceasefire.